Home > News > Hey Google,What Are Some of the Must-Sees in Hong Kong? 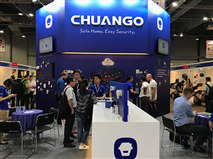 Hong Kong – Apr 10, 2018 – Chuango Security Technology Corporation, an award-winning and dynamic developer of wireless DIY home security and automation systems, is pleased to announce its continued participation – together with its own smart home tech brand smanos – in Sourcing Fair from April 11~14 and in Electronics Fair from April 13~16. “Hong Kong is always very ‘happening’ and exciting, and we’re thrilled to return with our latest wireless, DIY home security and automation solutions for the retail DIY and consumer electronics channels,” said Ken Li, founder and CEO of Chuango. The complete solution portfolio of Chuango and smanos speaks minimalistic elegance, self-installation and self-monitoring, and is available, respectively, on Booth 2N27 at AsiaWorld Expo and on Booth 1A-D12 at Wanchai Convention Centre. According to the Z-Wave® Alliance, keeping your home safe and secure is still possibly the most convincing use case for investing in smart home technology, where DIY solutions take up just 7% of the market. That is a lot of room for growth, and Chuango has just the right mix to fill that void! 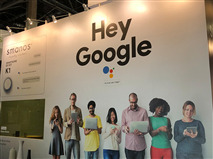 Products on display include the latest GSM and WiFi control hubs, as well as cloud-based HD cameras, video doorbells and many uniquely designed wireless accessories and OEM options. “The Chuango H4 Plus and AW1 Plus home automation and alarm systems boast super simple WiFi and cellular setup for secure, failsafe smartphone access,” said Brian Borghardt, GM of Chuango Europe. “Scaling up either of the systems simply requires a few swipes and taps on the respective free app, to add up to 50 wireless sensors and cameras, without calling in an expensive installer.” Users get to enjoy the comfort and convenience of a smart and safe home within minutes upon opening the box. When triggered, the system in action will push app notifications (or text notifications when the WiFi is down) and call out to pre-authorized numbers for appropriate action. Aside from regular Chuango security capability and functionality, the H4 Plus also controls and saves power for your home appliances that are plugged into smart switches; and it works with other smart home devices, such as the Nest® thermostat, Google® Assistant and Amazon® Echo. Another show highlight is the latest video doorbell, which is an all-new addition to the Chuango smart home portfolio, powered by Chuango's signature form and function as well as ease of use. “When someone presses on the bell button or the built-in motion sensor detects movements, you and your family get an instant notification on your smartphones, enabling you to see and speak with your visitor no matter where you are in the house or in the world, anytime of the day,” Li said. “You can also proactively wake up the Chuango doorbell on demand and see what might be happening on your porch or driveway as you wish.” Other customizable solutions and accessories, such as cloud-based management platforms, environmental sensors and outdoor sirens, are also showcased in Hong Kong throughout the 6 days, so don’t miss out on these items that are ready for mass production and shipping now! Chuango offers an all-inclusive, no-contract security, monitoring and automation solution portfolio, especially suitable for retail channels specializing in hardware/DIY building materials, consumer electronics and IT/mobile accessories. The multifunctional design, support and logistics centers in Amsterdam and Dallas facilitate the turning of popular demands, disruptive innovations and intuitive designs into palpable sensations. From wireless, app-enabled alarm and video systems to remote security and energy management, Chuango solutions cater to today’s mobile-driven lifestyles and ensure homeowners have complete control, comfort and visual confirmation right at their fingertips within a few short minutes and easy swipes and taps.